برنامج ماسنجر بلص أحد أفضل و أهم البرامج الإضافية للماسنجر يعمل البرنامج على إضافة مميزات وتعديل بعض الخصائص لما تريد يمكن من إزالة الإعلانات و التنبيه عند خروج وتغيير اسم جهة الاتصال ووضع تنبيهات خاصة للأحداث و الأشخاص وتمكين تعدد الأسطر للاسم و تنبيه للرسائل لعناوينك البريدية الأخرى وامكانية فتح اكثر من ماسينجر بدون برامج والكثير من المزايا. Messenger Plus! Live is an add-on for Windows Live Messenger that adds tons of features and extras to the software. Extend the possibilities of Messenger and make your experience a lot more entertaining! The only thing needed to use Messenger Plus! Live is Windows Live Messenger (the latest version of MSN Messenger) which requires Windows XP or above. Messenger Plus! Live is compatible with Windows Live Messenger 8.0 to 9.0 and can be installed on 32bit and 64bit versions of Windows XP and Windows Vista. 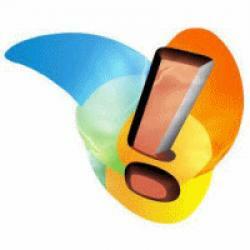 Installed more than 350 million times since 2001, when it started as a simple add-on for MSN Messenger 3, Messenger Plus! is guaranteed to improve your Messenger experience by leaps and bounds. You won't just get a couple of new options, what you'll get is a whole new dimension for the Windows Live Messenger software.